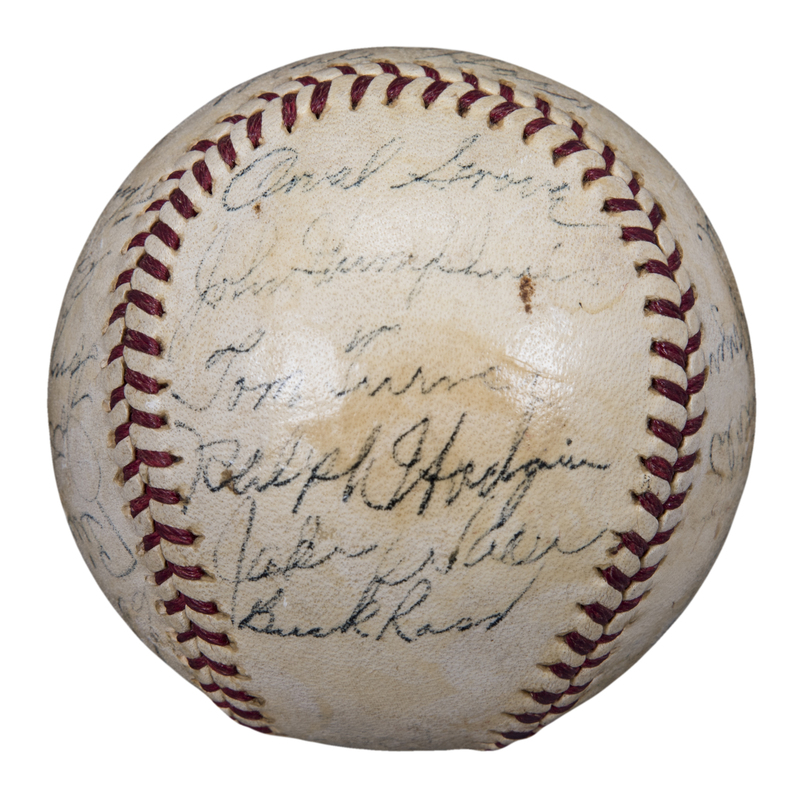 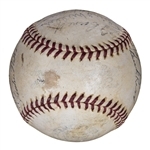 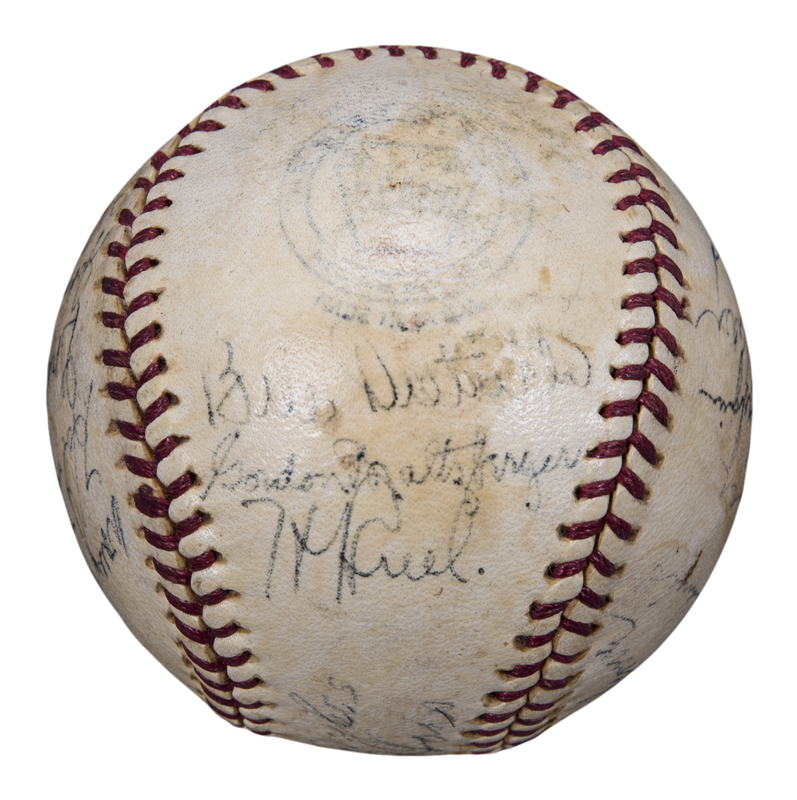 This Official American League William Harridge baseball has been signed by 22 members of the 1944 Chicago White Sox. 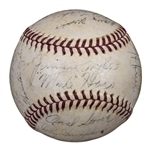 Manager Jimmy Dykes and coach Mule Haas have signed the sweet spot. 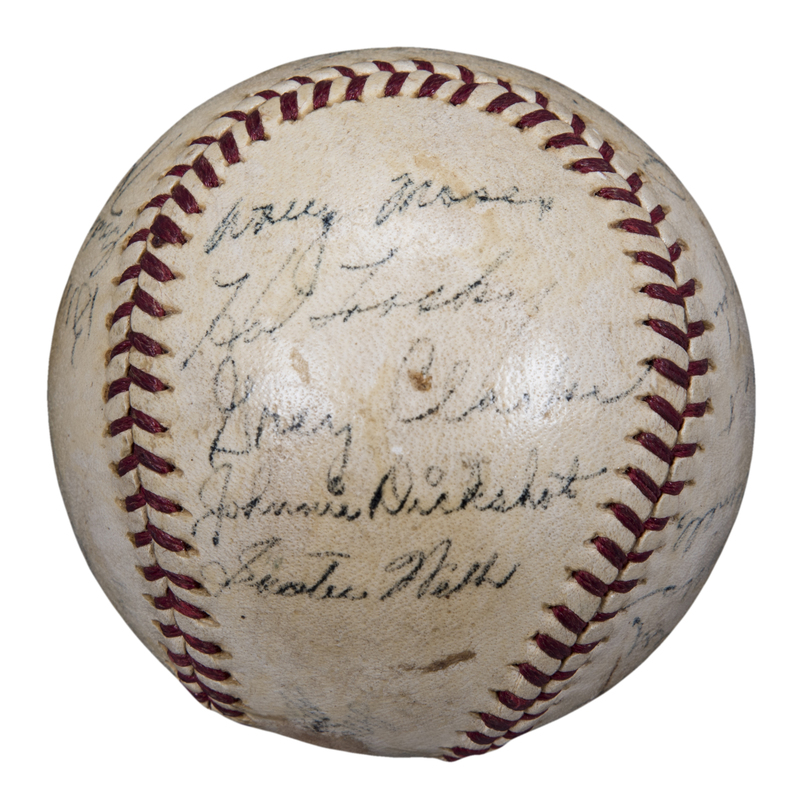 Other signatures include Muddy Ruel, Gordon Maltzberger, and Bill Dietrich on the east panel, Eddie Carnett, Bing Miller, Joe Haynes, Tony Cuccinello, Ed Lopat, and Thornton Lee on the west panel, Orval Grove, Johnny Humphries, Tom Turner, Ralph Hodgin, Buck Ross, and Jake Wade on the south panel, and Wally Moses, Hal Trosky, Grey Clarke, Skeeter Webb, and Johnny Dickshot on the north panel. 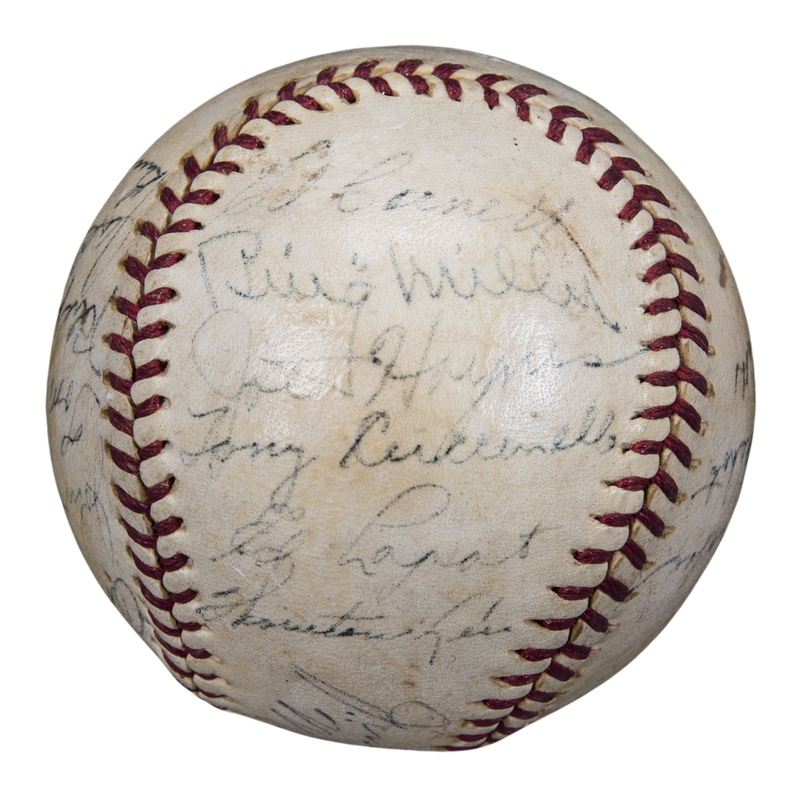 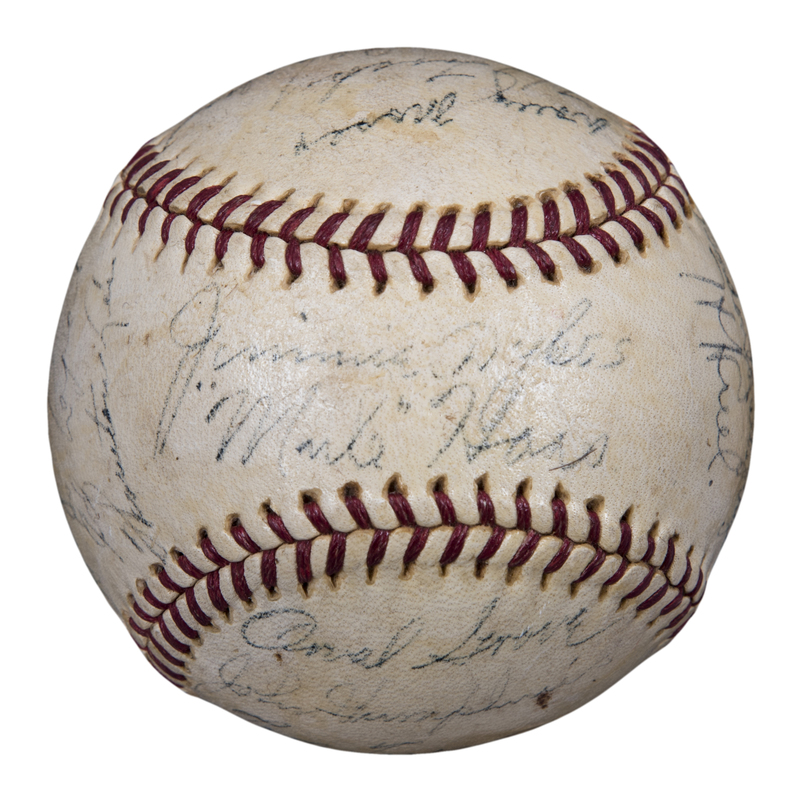 The signatures on this shellacked baseball have been written in black pen. 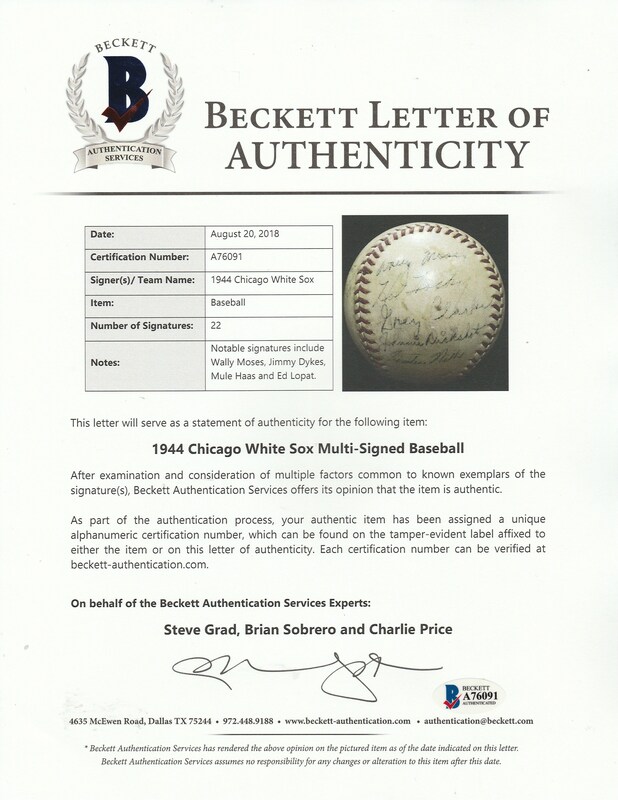 This item comes with a LOA from Steve Grad of Beckett Authentication Services (A76091).